I just couldn't resist!! One of my favorite things to do is to hack patterns -- not because I don't love the original patterns because I do! Sometimes though, inspiration strikes (like on the way to my daughter's school) and I just have to make it happen. Despite the million (or so) ways to personalize this awesome pattern, I have found yet another option and it's way too easy not to share! 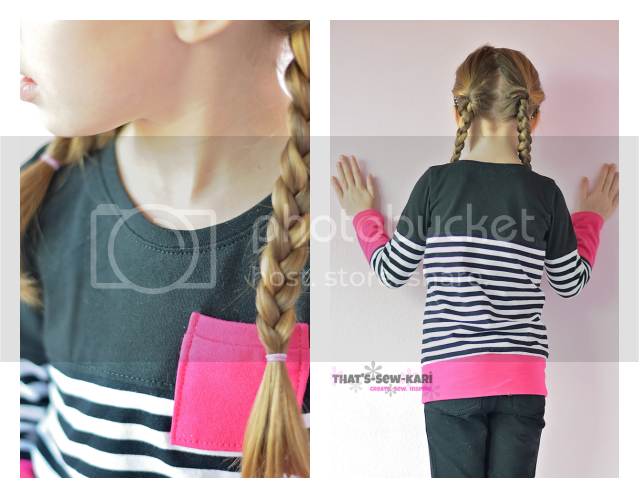 Visit my Colorblocking Tutorial for the Perfect Ten Knit Top and follow steps 1-3, making sure you are using the regular hemline option for your original pattern piece. Now you should have your "New Top Bodice" cut from your fabric. In Step 4, cut out the "New Bottom Bodice" for the pattern piece only. DO NOT cut your fabric yet! We are going to double the width of the "New Bottom Bodice". Fold your fabric in half (stretch is cross-grain), and then take the folded edge and fold it again (stretch is still cross-grain), but do not make the second fold any wider than your pattern piece. Cutting the bottom 2 layers of your double-folded fabric only, cut out your "New Bottom Bodice". The original fold should be just under the right hand edge of your pattern piece and will NOT be cut. Take your "New Bottom Bodice" (that is now double the original width) and run a gathering stitch along the top edge. Gather to fit the bottom edge of the "New Top Bodice". Attach the gathered bottom to the top, RST (right sides together), finish the edge, and press the edge upward toward the neckline. Topstitch. Resume following the Perfect Ten Knit Top pattern for the remainder of the construction - being certain to match the seams along the side! 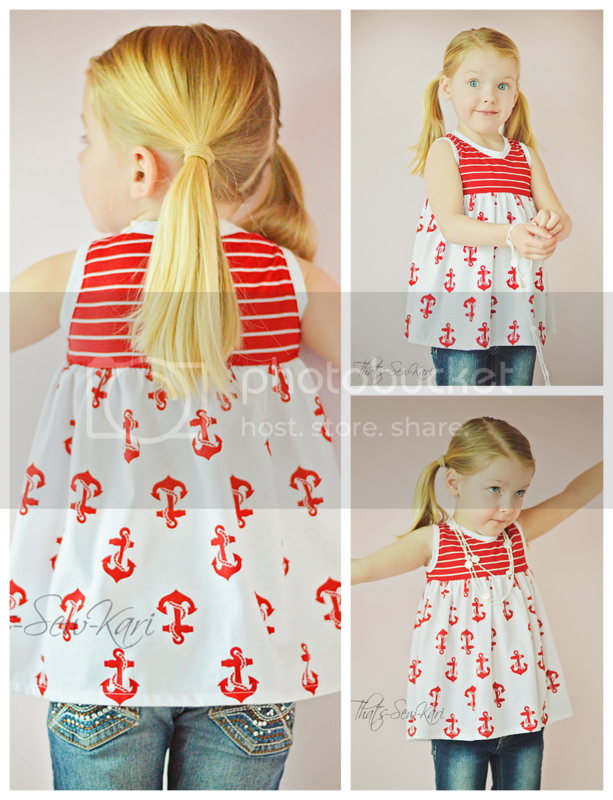 * This method of construction still allows you to use the front bodice bow option included in the pattern. So easy, right?! 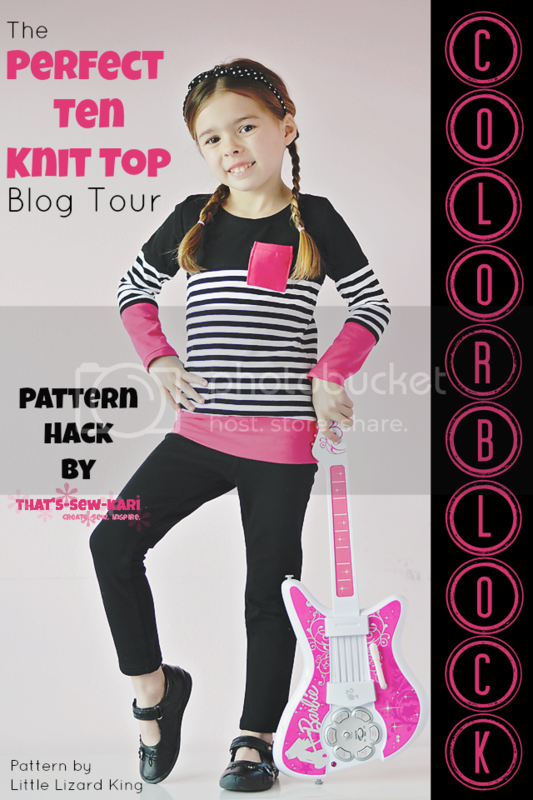 I hope you've enjoyed my latest pattern hack!! If you ever have any questions, don't hesitate to find me -- I'm always around! 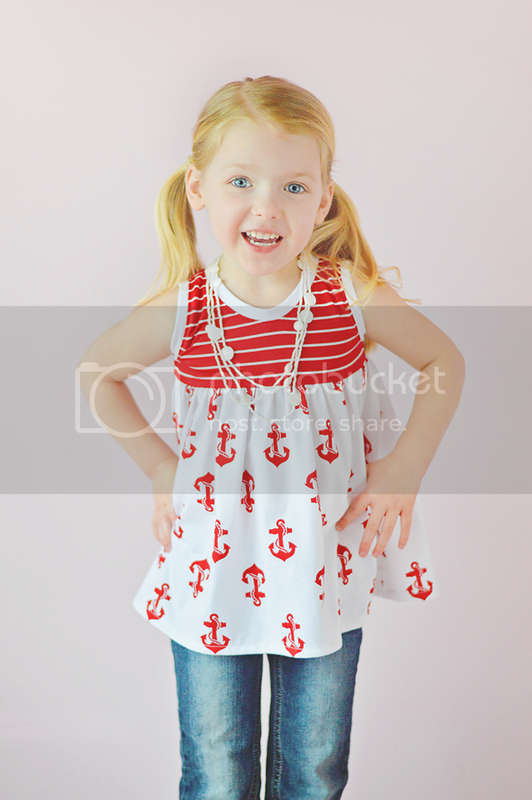 *Don't forget about the Buy 4, Get the 5th Pattern FREE (equal or lesser value) deal! Join the rest of the LLK Fans and show off your creations, ask questions, and hear about new releases! Enter by March 1st for a chance to win!! Read LilyShine's Blog for more details! I have so much love for the ladies behind Little Lizard King! They definitely bring out my creative side! Hi there!! 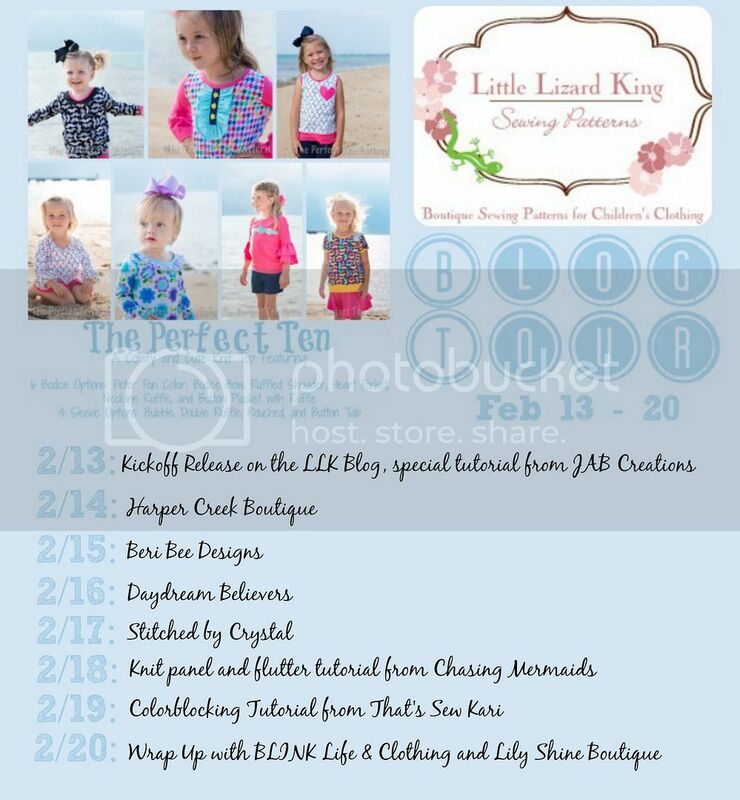 I am so excited to be on Little Lizard King's Perfect Ten Knit Top Blog Tour!! When this top was in testing, I pretty much begged Cassie to let me colorblock my version. She said yes -- as long as I agreed to share my tutorial during the blog tour. Soooo, here I am!! Let's get this party started! Colorblocking is actually rather easy! Follow these simple steps, and you'll want to colorblock ALL.THE.THINGS! Once your bodice pieces are colorblocked, sew together according to the pattern instructions. If you would like to colorblock your sleeves like I did, simply repeat the concept on your sleeve pieces. I used the short-sleeved and 3/4-sleeve lines provided and simply added my seam allowances (instruction 2) to each "new" pattern piece. 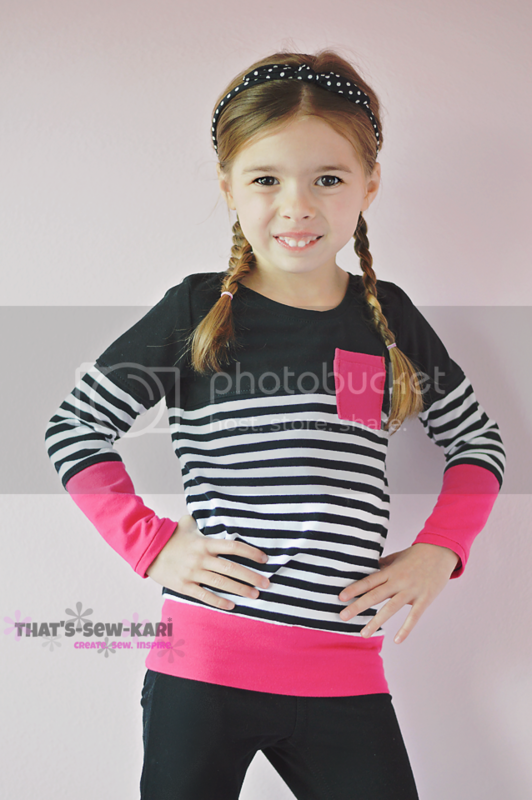 Once your sleeves are pieced together and your seams are topstitched, sew according to the pattern instructions. My daughter has so much love for her new shirt! 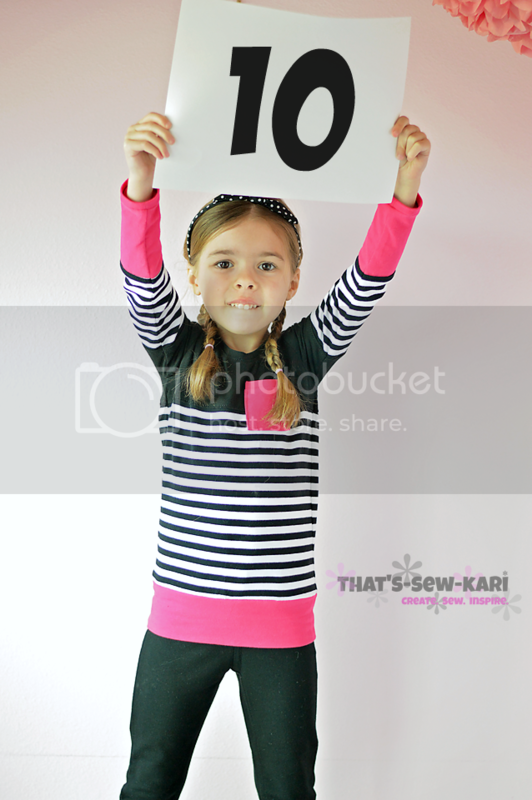 For more Perfect Ten inspiration, visit these great blogs participating in the tour!! 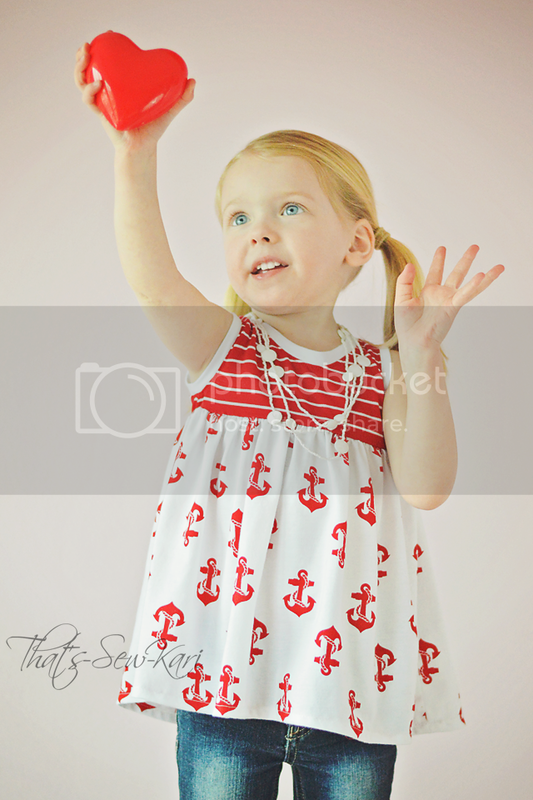 If you haven't purchased your pattern yet, click HERE! 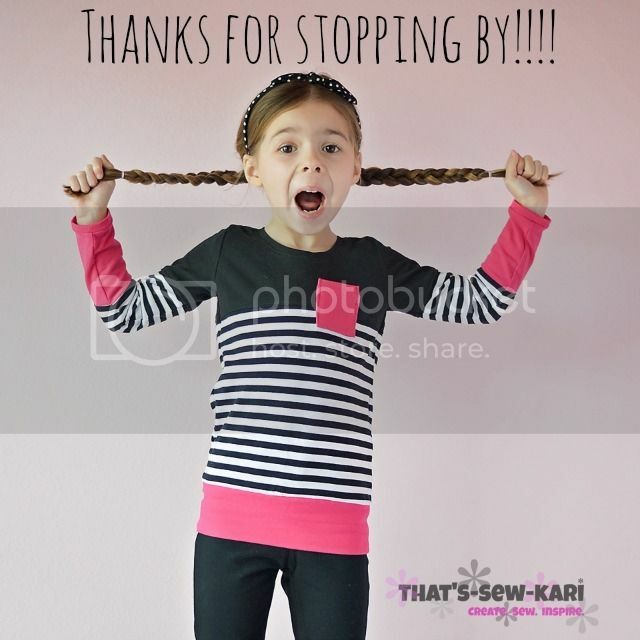 After you sew it up, be sure to show it off in the LLK Cafe! Good grief. This is what everyone warns you about, you know. "It goes by in the blink of an eye." And then you realize you've become one of them. HA! 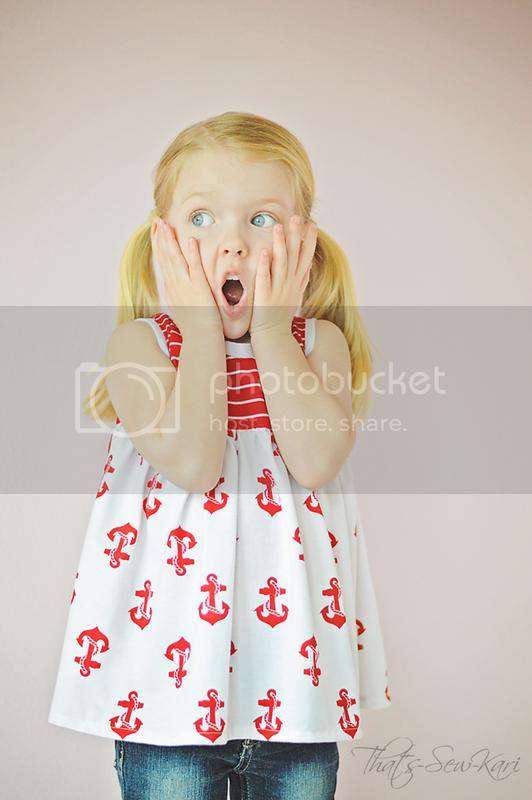 As my youngest turns 4, I stare at her in disbelief. Where has the time gone? She has transformed so much and every time I think I've got her figured out.... BAM! Here comes the curveball. I've now come to expect the unexpected. The past couple of years, my little lady has been OBSESSED with Minnie Mouse -- I think I've sewn her nearly a dozen Minnie outfits already. 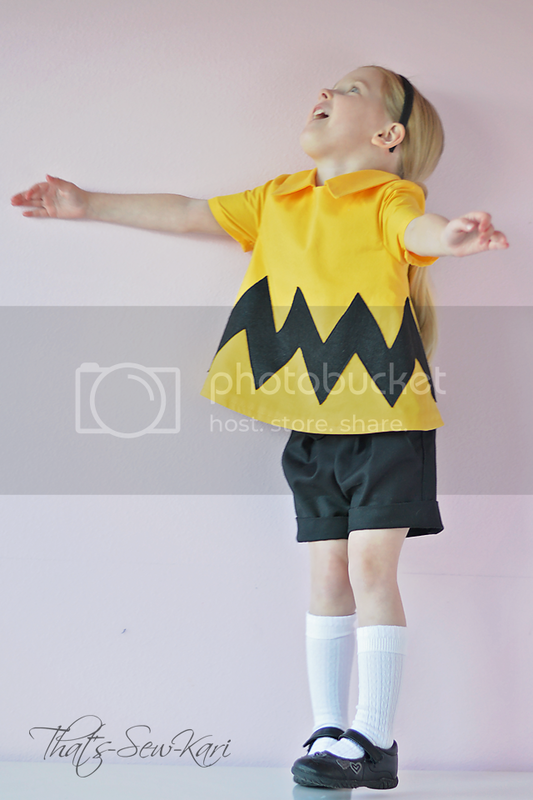 So when I asked her this year what kind of birthday she'd like, "Charlie Brown" was not what I expected to hear. 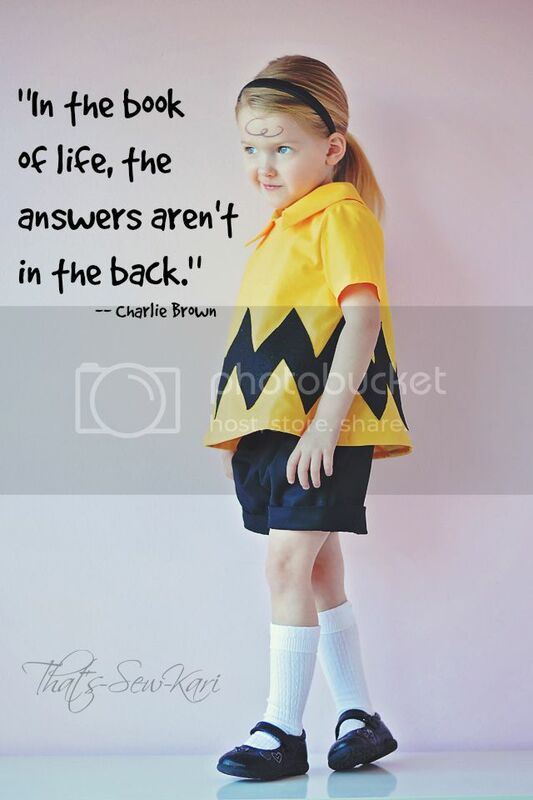 But I ran with it --- I remembered over the holidays when she first discovered Charlie Brown. She watched the shows over and over and over ... and laughed hysterically the whole time Charlie was on screen. It was pure, unfiltered and uncontrollable joy. 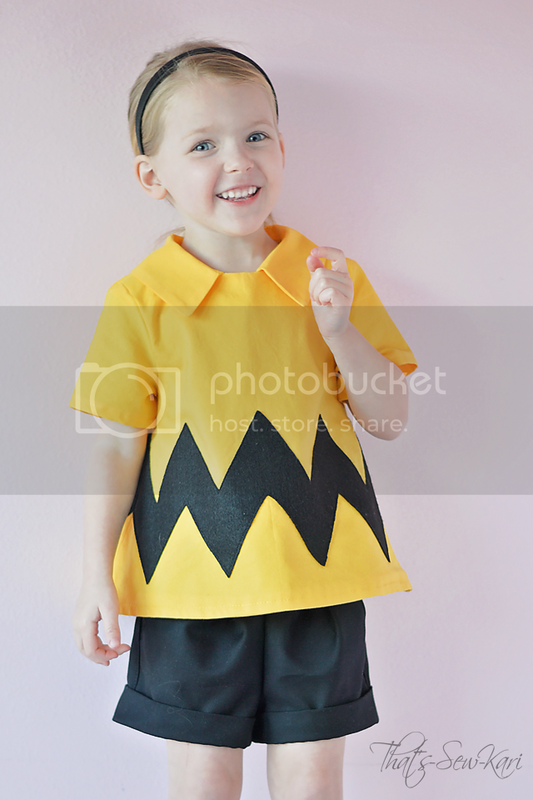 Oh, yes, my daughter needed to have a Charlie Brown birthday! 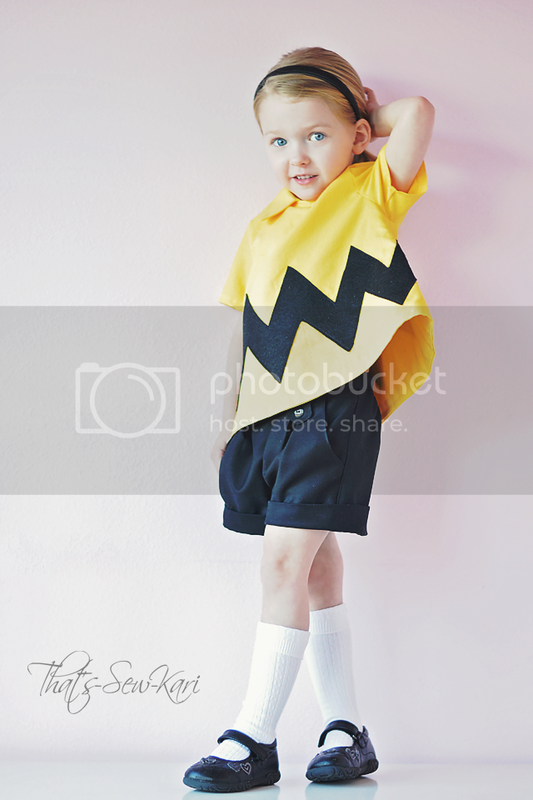 As I looked at his pictures, I knew I'd need a yellow shirt (with signature zig zag) and black shorts. But, there's no harm in putting some female flair into it, am I right?! Immediately, my mind went to the Norah Tunic (and Dress) by Mouse House Creations I had purchased in 2013 and never got around to making. The A-line shape ended up being the perfect canvas with just a few tweaks. I omitted the collar included in the pattern and used a collar from a coat pattern (Ellie Inspired Penny Vintage), but modified the rounded edges to pointy corners. I fully lined it so the weight of the felt zig zag wouldn't weigh down a single layer of quilting cotton. I appliqued a felt zig zag stripe towards the bottom, following the slightly curved hem of the tunic. For the shorts, I knew I'd choose the Clover Shorts by Willow & Co (written by Mouse House Creations). I love the front pleat, the hem cuffs and the belt buckles. I left the fabric belt/tie off of this pair. Seriously, in love with this shorts pattern! All in all, I couldn't be happier with how this outfit came to life. My daughter was absolutely giddy that I could transform her into Charlie Brown... she even asked me to draw on his little swirl of hair. Hahaha. Oh, and in addition to her "Charlie Brown" birthday, we enjoyed Minnie Mouse cupcakes and wrapped presents in Barbie wrapping paper! * This post contains affiliate links. If you purchase through my link, I earn a small commission.